I can’t believe that the holiday season has finally arrived and it’s already moving along very quickly. Our main focus is spending time together, giving back to others, and creating new memories. During the holiday season, I’m always whipping up something new in the kitchen or recreating my favorite childhood recipes. Food is how I show love to my family. I hope that one day my kids will pass on their favorite recipes to their own children. 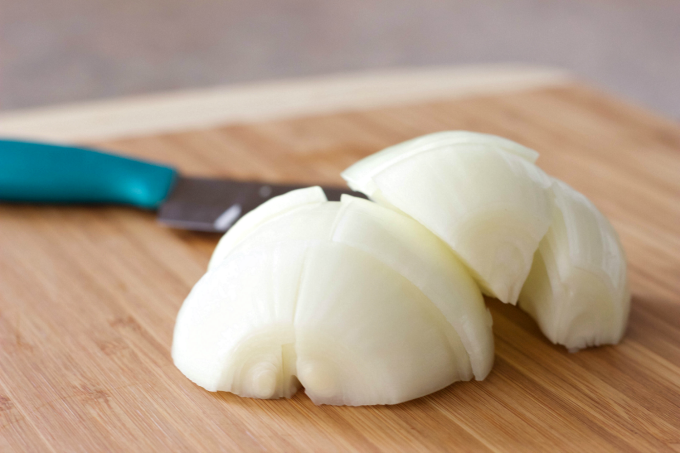 Today’s recipe is a savory dish that your entire family will enjoy. 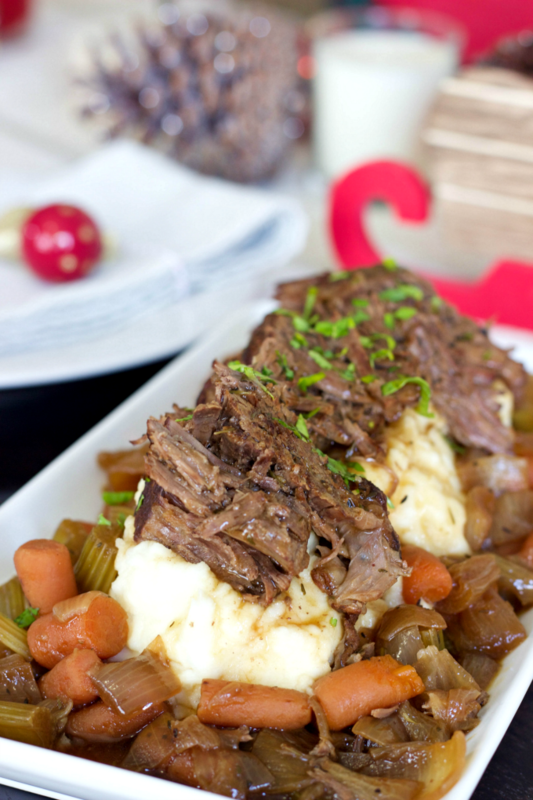 This Beef Pot Roast is flavorful, tender and easy to put together. Your family and friends will think you slaved in the kitchen for hours! 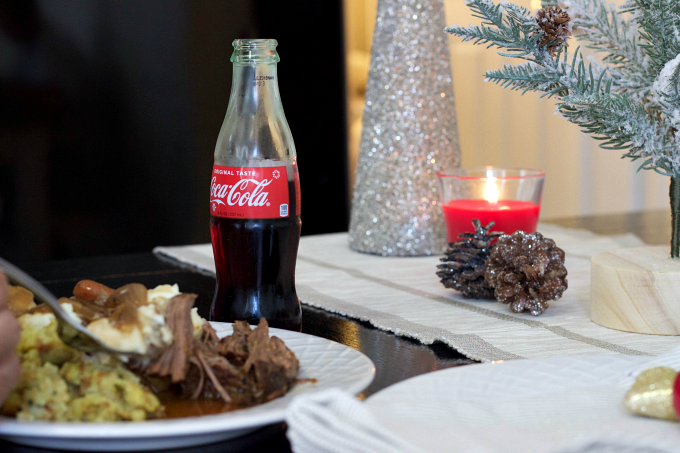 Growing up, I remember my mother serving our holiday meals with Coca-Cola drinks. It was a staple at our family gatherings and festivities. It’s a tradition that I have continued with my own family. Preheat oven to 325F degrees. Chop onion, baby carrots, and celery stalks. I like to cook the veggies in a pan for a few minutes before adding them to the roast, but this step is completely optional. Season your roast with salt and pepper, then sear all sides in a pan. Whisk together beef gravy, beef stock, Worcestershire sauce, onion powder, thyme, salt, and pepper. Place roast in a roaster or dutch oven along with chopped vegetables. Pour gravy mixture over the roast and vegetables, cover with aluminum foil and bake at 325F degrees for 3 to 3 1/2 hours. Remove roast from the oven, slice and serve with mashed potatoes. 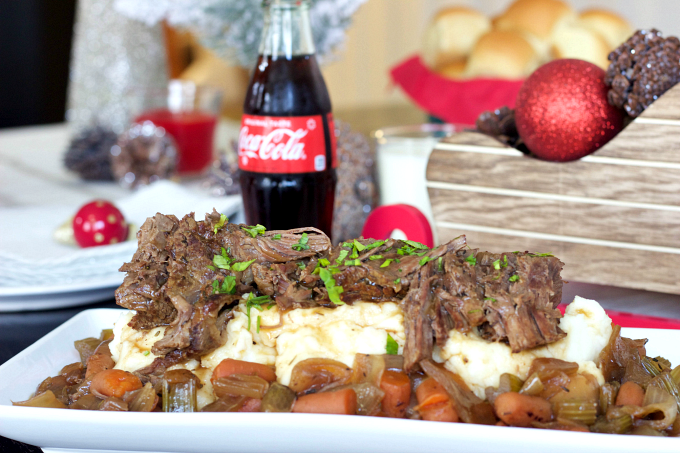 You should have enough gravy from the pot roast to pour over your mashed potatoes. You can also eat it as is with the veggies. You can’t go wrong either way! 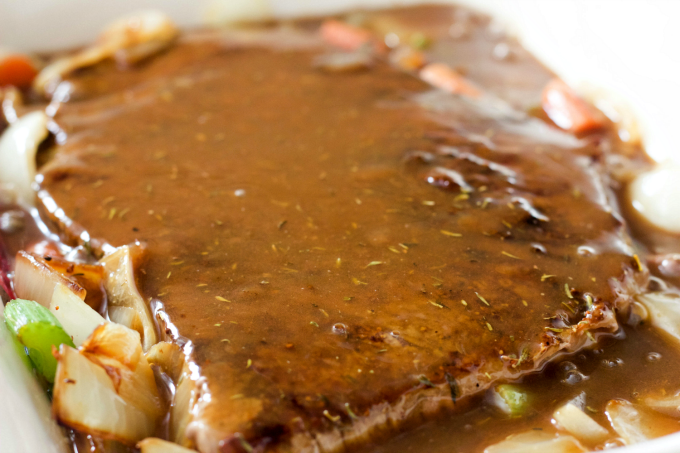 This beef pot roast is full of flavor and tender. Sharing meals with my favorite people is something I look forward to during the holiday season. It’s easy to get caught up in the busyness of the season, but when we slow down to be present, it reminds us to truly enjoy the little things. And that includes family, friends, good food, and the refreshing taste of Coca-Cola. What are some of your favorite holiday meals? I’d love to hear from you! 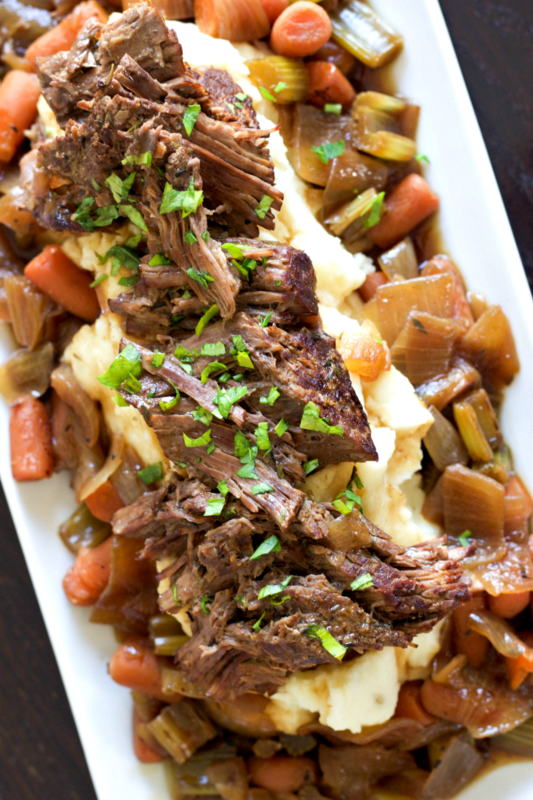 This Beef Pot Roast is flavorful, tender and easy to put together. A great recipe for the holiday season and beyond! 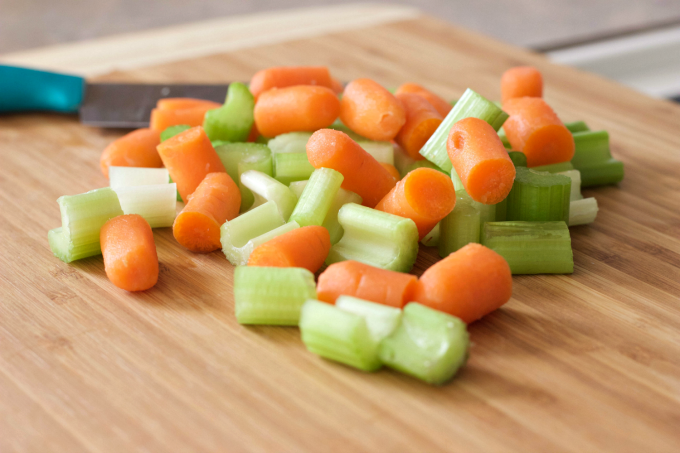 Chop onion (quartered), baby carrots, and celery stalks. 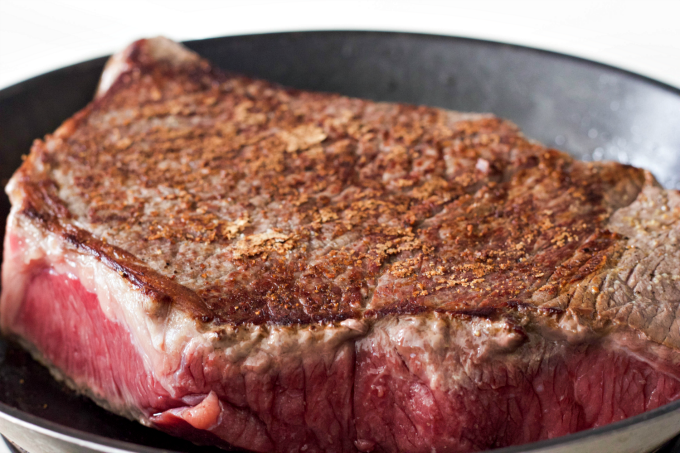 Season your roast with salt and pepper, then sear all sides in a pan. Whisk together beef gravy, beef stock, Worcestershire sauce, onion powder, thyme, salt, and pepper. Place roast in a roaster or dutch oven along with chopped vegetables. Pour gravy mixture over the roast and vegetables, cover with aluminum foil and bake at 325F degrees for 3 to 3 1/2 hours. This looks delicious! 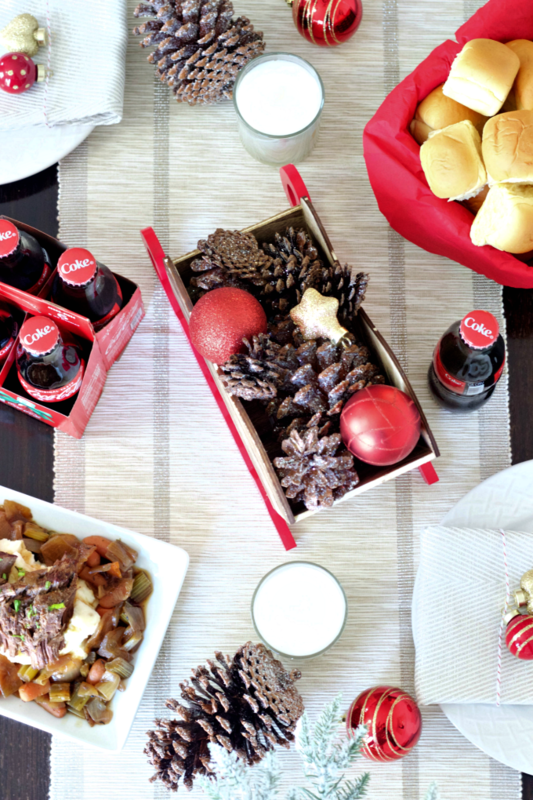 Coming together for delicious food and drinks is one of my favorite parts of the holiday season, too!